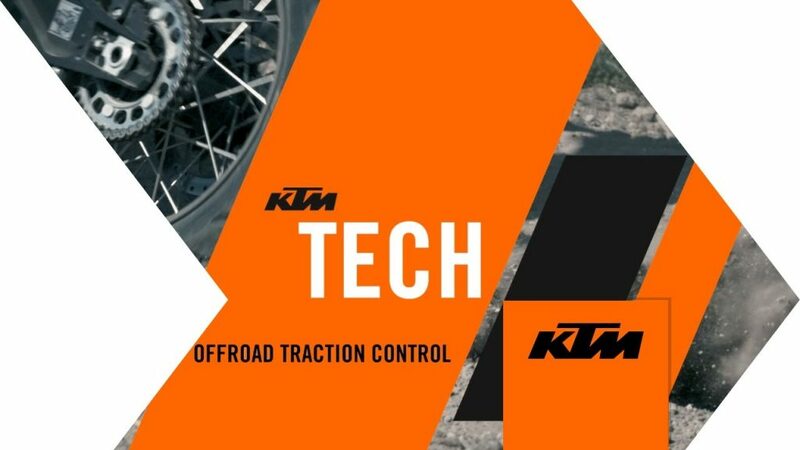 Regular road traction control prevents drifting, which is one of the fun ways to tackle a corner in the dirt. So we designed offroad traction control to maximize the drive. And your smiles. Here’s how it works. The Offroad ABS mode allows the rider to block the rear wheel as and when required – a prerequisite for committed offroad riding and deliberately executed slides. The ABS function remains active on the front wheel, unless you turn it off entirely. Once this mode is engaged, the ride by wire limits the throttle response and peak power, putting you in full control wherever you take your bike. Offroad TC is enabled at the same time. Some serious trail scorching awaits. I have a 2017 KTM 1290R SA. When I disable the TC whether I am in Off-Road mode or Sport mode I still get the traction control feeling kicking in when I accelerate quickly from the start (in dirt). Once I am moving along it appears to go away and the rear wheel spins freely. I want to add that the bike is not wheeling while this is happening. Why is this happening when the TC is off, and will the MSR upgrade eliminate this? I ask because when off-roading and climbing hills this is a major problem. Thank you for any advice you may have. Yes, I have noticed the same problem, this is especially horrible in sand when you want a lot of wheel spin, have you found a solution?